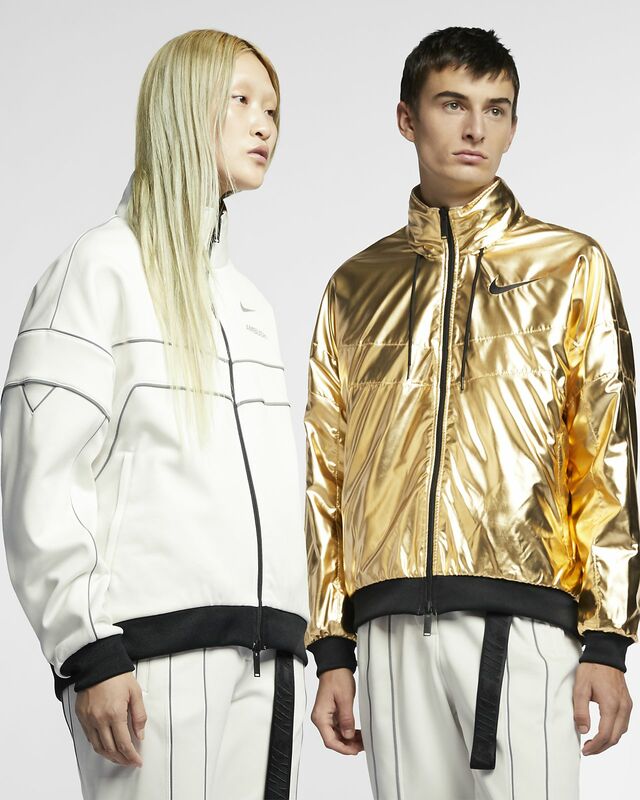 When your schedule is non-stop, the Nike x Ambush Reversible Jacket shows all the way up. Fully reversible with eye-catching foil on one side and soft fleece on the other, it features plenty of storage to keep you unstoppable. Ripstop fabric with printed foil is durable and eye-catching. A packable hood adds coverage. Webbing across the back reps Nike.